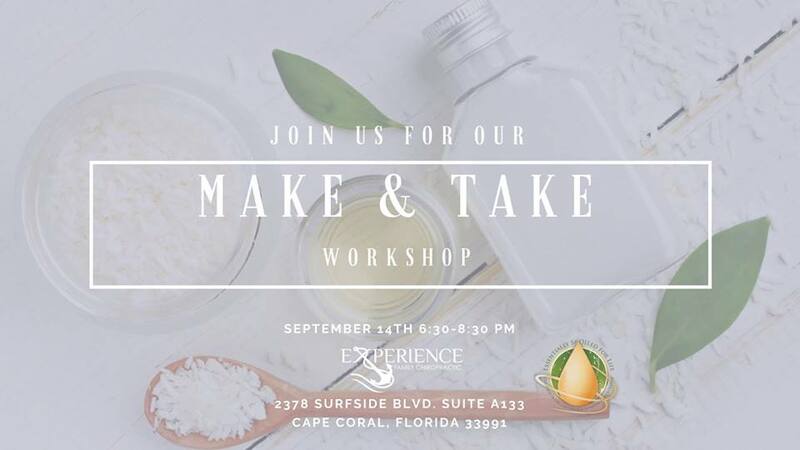 Grab a friend and join us for a fun and unique DIY event lead by holistic health coach, Nicole Almeida. All attendees will have the opportunity to make their own array of natural home products. Each item is only $5.00 to make and all supplies will be provided! RSVP on our Facebook page or by calling 239-205-3700.